If you are a blogger than your article content is the backbone of your blog. An blogger or a webmaster is always look for a attractive and unique post. The article must be lengthy, attractive, eye catching words and headings. Just go through the Google pages and look around that nobody is written that post. 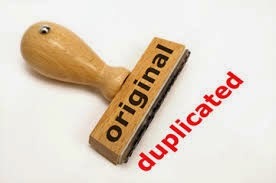 Well if we go through with this post, than you see that how to check for a duplicate content. Most of the bloggers and writers put their content in the given box and click on the button, after the processing is over it will show the final results. 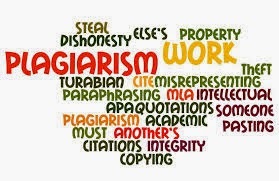 This article is written on the basis of your work for Plagiarism to make sure you are not being copied in 2015. Plagiarism is the wrongful and the widely used application or site for the appropriation of someone else’s thoughts, text and ideas. It involves copying and duplicate the text/ content and re-publishing it as your own. If you want to use this plagiarism checker, than do not need to do any hard thing. Just copy the content or you can copy the full content and after that paste your content in the given box below. After placing the content then click on the big green button that says “Check for plagiarism!”. Press the button and the processing will start. Then sit back and watch as your article is scanned for duplicated content. If you website contain duplicate content than its a warning for your site. Your site will be punished and Google will banned your site. Just make sure that every word of your post is written in your own words. Never copy the content from other websites because it leads to harmful to your sites. There are various tools are also available via you can check your content and see what percentage of the content has been copied. There are so many tools are also available via you can check the content. Only you have to do just go to these sites and check which site is better for you. These tools are the free of cost and some of them are paid. Just go through with this post and look around which tool is the best for your website and which provide the best result. Try and compare them to see which one you like the best. Some have complicated interfaces while others are quite plain and simple to use. If you only plan on checking a few documents once in a while and are not too concerned with accuracy, then a free online tool may be enough for your purposes. Just go through with this post and it will surely help you a lot. So if you find this article important than you can just share this on your social profile links like Facebook, Twitter, Google Plus etc.